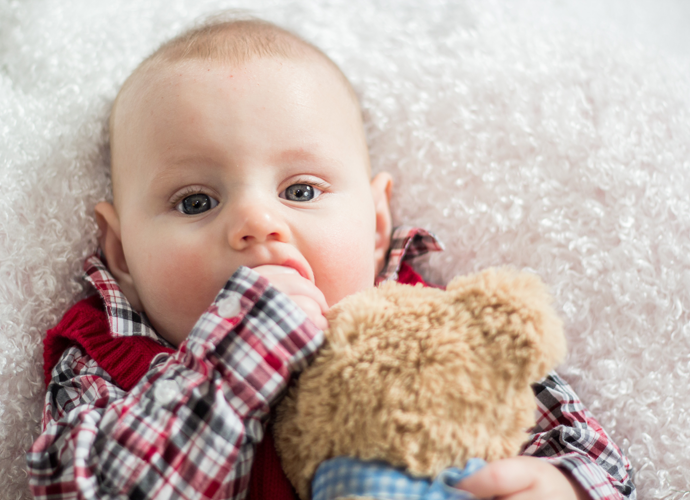 Chayla contacted me about Christmas card photos about a month ago and when she told me I would get to photograph her and her husband's 5 month old little man I was SO excited! She wanted to do an indoor session at my home studio because the weather outside is well on its way to frightful. I immediately started brainstorming some fun ideas to run by her. We ended up with a beautiful backdrop full of Christmas lights and colorful garland. Now I knew Chayla seemed super sweet chatting online and how ADORABLE little Landon looked in the photos she had on her Facebook, but when I met them in person I felt like I had invited old friends over. I also met her husband, Donald, for the first time and he was so friendly and SUCH a great hands-on dad! 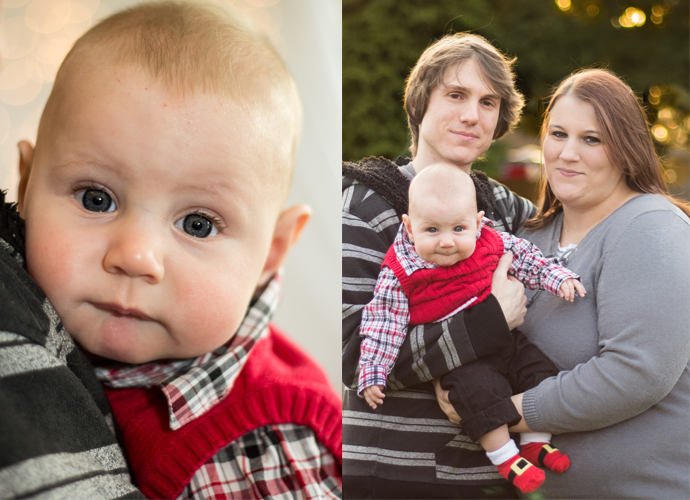 I'm so very happy with how the photos turned out (mostly thanks to Landon and his adorable face and beautiful eyes) and hope I get the honor of photographing this little family again in the future!